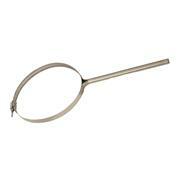 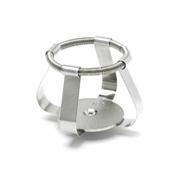 Various clamps for Erlenmeyer flasks are available. 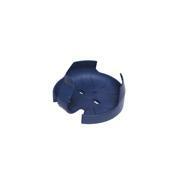 …grounded directly to the supply cable, providing additional protection from spills or broken flasks. 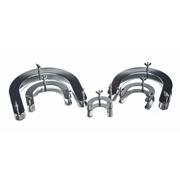 All mantles other than the 2,000 mL and 5,000 mL have a single support rod clamp that accepts 12.7 mm ( 1/2”) diameter support rods (not included). 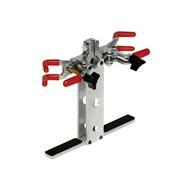 The 2,000 mL and 5,000 mL use three clamps. 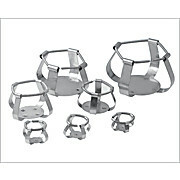 Flask Clamps For Erlenmeyer flasks Fits holes in platform of 8287C70 shakers Nickel-plated, spring bronze, with hub, threaded stud and nut. 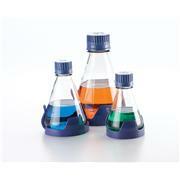 Flask sizes are shown in listings. 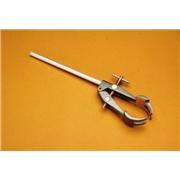 With 4 mm bore stopcock for rapid removal of contents without disturbing the general arrangement of the apparatus. 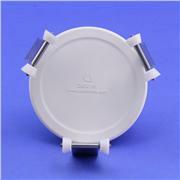 4 inch ID conical flange requires Ace product family 6496 clamp for securing the head to the flask. 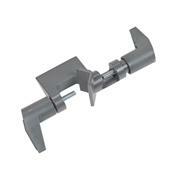 Stainless steel worm-drive screw clamps have large, flat thumbscrews for fast and easy adjustment. 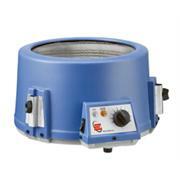 Four sizes to accommodate 64 to 165 mm diameter apparatus. 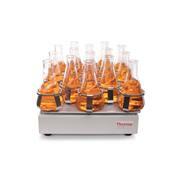 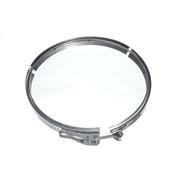 Made entirely from stainless steel, these clamps firmly hold reaction vessels with Duran® flanges, and lids together. 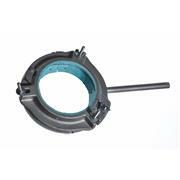 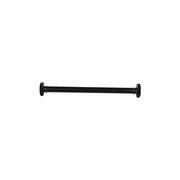 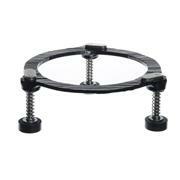 Quick release mechanism has a screw adjustment for tension control of flange. 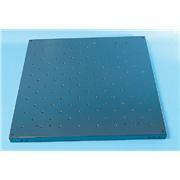 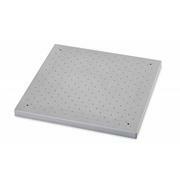 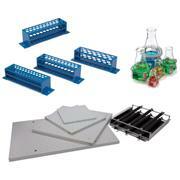 Versatile tray with threaded holes to attach 25 - 1000mL flask clamps, SH plate holders and SR racks. 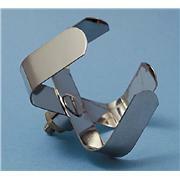 The Volumetric SUREGRIP™ Clamp was created specifically for volumetric flasks. 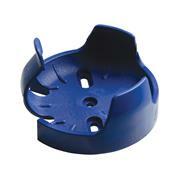 This contains a botttom support, which was designed to help stabilize the flask and prevent the flask neck from breaking. 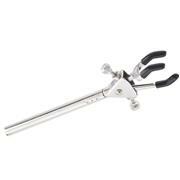 The clamp holds up to 500ml flasks. 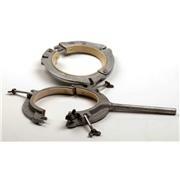 Clamps for use with Corning® LSE™ Orbital Shaker and Corning® LSE™ Low Speed Orbital Shaker.